18 Jan Why do I always feel tired? Do you always feel that you are low in energy, exhausted or not feeling perfect. You lack the vitality you had when you were younger? You are not alone, tiredness is one of the most common complaints I hear in my office. According to the Royal College of Psychiatrists, 20% of people feel unusually tired at any given time and one in 10 have prolonged fatigue. Even when there is nothing physically wrong, biochemical imbalances in your body could be leading to fatigue. 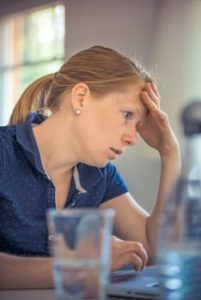 We are all faced with stressors little and large day to day in life and over a period of time, they accumulate to cause imbalances and can cause tiredness. In Functional Medicine, when we see someone with such health issues, we look for the underlying dysfunction. In modern world, we are eating calorie dense but low nutrient foods. Lack of some basic nutrients could decrease energy production in Kreb cycle which is the process in each cell of the body to convert food into energy. Energy is produced by cell’s mitochondria harvesting energy-producing adenosine triphosphate (ATP) from the foods we eat. Nutrients such as vitamin Bs, CoQ10 and minerals like magnesium have important role to play in biochemical reactions in the cell. Up to 15% of people don’t get enough B12, Coenzyme Q10 (CoQ10) deficiency is common among adults 40 or older and some estimates suggest 80% of us are deficient in Magnesium. People with diabetes, Parkinson’s disease, and heart problems tend to have low levels of CoQ10 and statins, which is a medicine for high cholesterol, can also lower CoQ10. Even when we might be eating right, we might be deficient in essential nutrients due to our inability to digest or absorb our food. This could be because of various factors in the gut for example decreased digestive enzymes, gut dysbiosis or leaky gut. Food allergies and sensitivities can affect these functions too. The father of medicine Hippocrates said over 2000 years back that “All disease begins in the Gut” and modern research is proving that he was absolutely right. Adrenals, pancreas, pituitary glands in your brain, thyroid, parathyroid, reproductive glands are the major hormone producing glands in your system. Hormones send specific instructions to organs and help determine your mood, energy levels, weight, temperature, digestion, and many other aspects of your health. Many endocrine disorders, for example, abnormalities of the thyroid, cortisol, or insulin can present themselves in form of chronic fatigue. Maintenance of insulin hormone by maintaining a healthy blood sugar level throughout the day will also ensure we do not have energy slump during the day. Our world is getting toxic, we have pumped out over 80,000 man-made chemicals in our environment in the past few decades. Through our food and water, we are getting exposed to heavy metals like arsenic, lead, mercury and Persistent Organic Pollutants (POPs) on a daily basis. These are pesticides, solvents, pharmaceuticals and industrial chemicals which bioaccumulate in our body with potential significant impacts on our health. Some of us have genomic predispositions towards slow detoxification and accumulation of toxins may lead to fatigue in few. The Bottom Line: Lack of energy and vitality could be caused by one or a combination of factors mentioned above. With proper investigation, you can find out the underlying cause of your symptoms, which is the first step towards supporting your body. Everyone is different and it is essential to get a personalised perspective in each case to regain your vitality and transform yourself. Click here for energising juice recipe. “Three months ago, I was suffering from low energy, chronic tiredness, mood swings and anxieties. All this was result of Chronic stress, long working hours and lifestyle choices which included a tough workout regime and social drinking on a regular basis. Doctors couldn’t really figure out what was wrong with me or offer me a solution. That’s when I decided to seek help from Menka. She spent more than an hour with me discussing in detail my lifestyle. She recommended certain tests to assess any hormonal imbalances. Equipped with all this information, she identified the underlying issue (poor gut health and imbalance in stress hormones). She then put me on a comprehensive plan which involved proper nutrition, supplementation, exercises and lifestyle techniques. Things started to improve about a month into the program. I was sleeping better and felt less anxious about challenges facing me. My energy levels improved and I had a renewed desire to go out and do things.